Version 2.7 was released in January 2019. 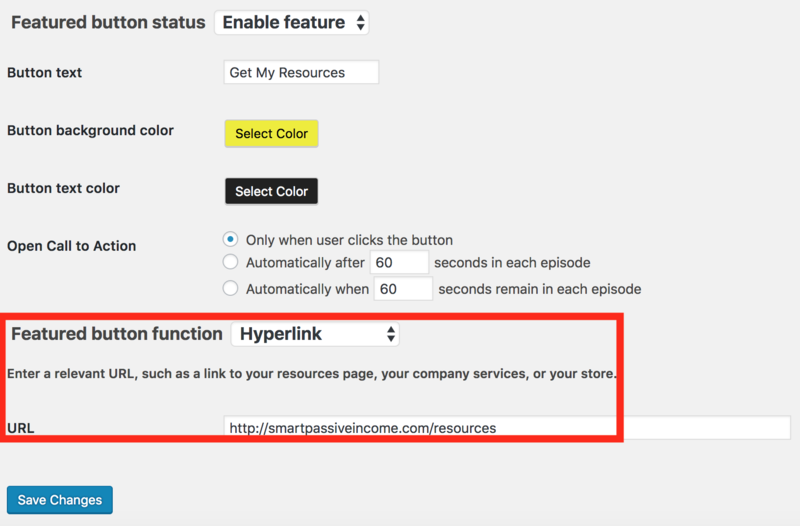 In Version 2.4, we introduced the first iteration of the Email Integration button, which allows you to embed an html sign-up form directly into your Smart Podcast Players—enticing your visitors to sign up for your email list on ConvertKit, Mailchimp, etc. 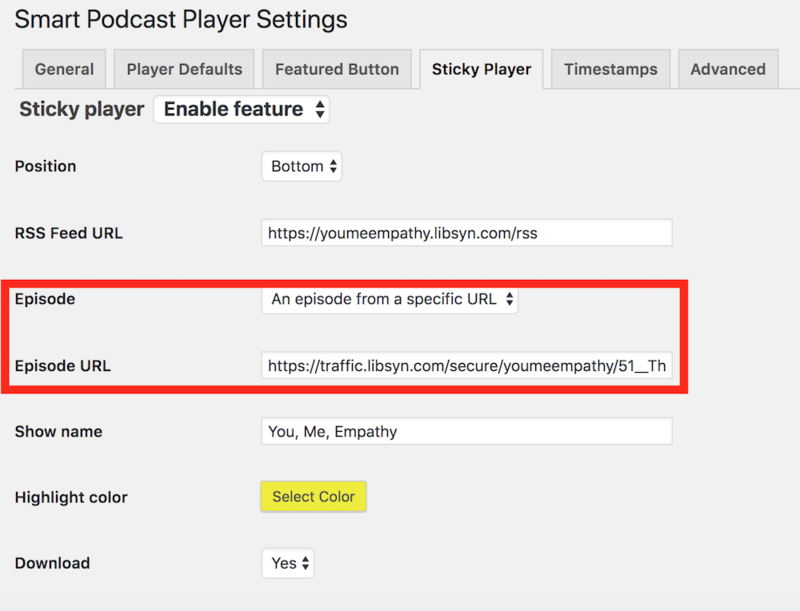 In the Episode URL box, you'll want to make sure you use your track URL ending with ".mp3." And finally, the last BIG upgrade for Version 2.7 is . . .
For a detailed Clickable Timestamps walkthrough, including a support video, go here. 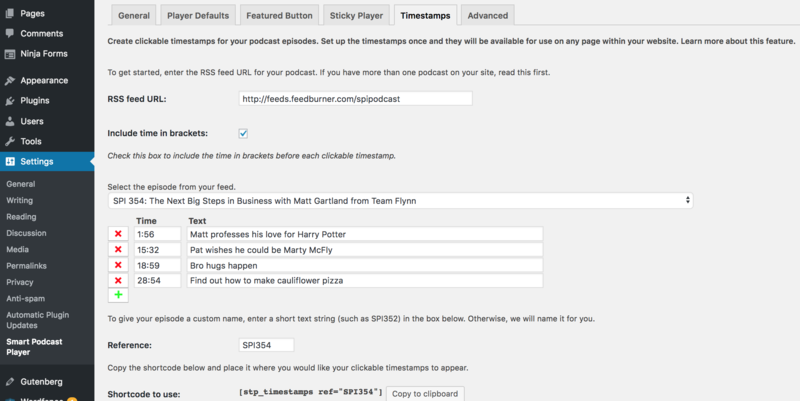 Again, for a complete walkthrough of the new Clickable Timestamps feature, including video, go here.